Seriously? OMG! WTF?Try not to look at John Stamos' crotch - Seriously? OMG! WTF? « Are Mark-Paul Gosselaar and Mario Lopez down for Saved By the Bell again? 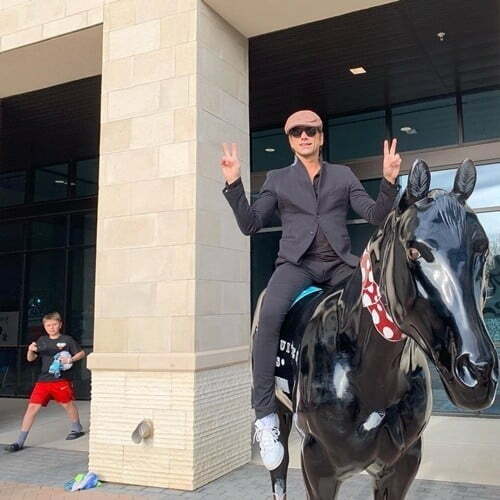 John Stamos sat on metal horse and I could not help but to look at his saddle. How can you not stare a it? It is like a drum set his pants and who wants to bang on those drums?